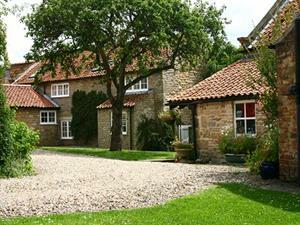 Cliff House Country Cottages Self-cateringIn a perfect location for exploring the delights of the Yorkshire countryside, the moors and the coast. Facilities for children: Cots available, Highchairs available, outdoor play area, unique yew-tree tree-house, children's books, games and toys. Children welcome from any age. Cliff House Country Cottages offers weekly bookings starting on Friday and Saturday and sometimes short breaks. Apple Cottage is a romantic two storey cottage for 2 people, converted from the apple store and laundry of Cliff House. Double bedroom and fully-fitted kitchen with dining area on the ground floor, cosy sitting room with leather reclining sofa, oak beams and views of the garden on first floor. Bathroom with bath, WC and basin on first floor. Cot can be provided but cottage is only suitable for babies under 6 months. Parking for 1 vehicle. Apple Cottage is the perfect cottage for 2 if you are looking for a peaceful location with all rooms having views of the garden and grounds. Why book with us? We take all major credit/debit cards (no charge), we do not charge a service fee or booking fee and there are no other hidden charges. Our prices include the use of our indoor heated swimming pool and games room, all bed linen, towels, heating and electric. We include tea, coffee and biscuits on arrival together with washing up liquid, dishcloths, tea towels, oven gloves, hand soap, toilet roll and bin liners. We personally welcome all our guests and clean all our cottages ourselves to ensure the highest standards. Apple Cottage offers weekly bookings starting on Friday and sometimes short breaks. Pear Cottage is a romantic and very private cottage for 2 people situated in the 4 acre grounds of Cliff House, the owners grade II listed former manor house. 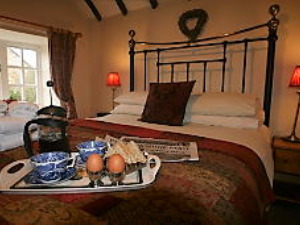 Full of character, Pear Cottage is very spacious and thanks to its 2' thick stone walls, is wonderfully warm and cosy. Spacious newly fitted kitchen with dining area, separate sitting room with new leather reclining sofa and delightful double bedroom, all with double height ceilings and original oak beams. Bathroom/WC. Travel cot and highchair can be provided if required, for babies up to 18 months but no children over 18 months please. Parking for 1 vehicle. Pear Cottage is the perfect cottage for 2 if you appreciate a more private cottage with lots more space (and height for the taller guest!) and period features. Why book with us? We take all major credit/debit cards (no charge), we do not charge a service fee or booking fee and there are no other hidden charges. All our prices include the use of our indoor heated swimming pool and games room, all bed linen, towels, heating and electric. We also provide tea, coffee and biscuits on arrival together with everything you need to get you started - hand soap, toilet roll, dishcloth, oven glove, bin liners, tea towels, washing up liquid - just bring yourself! We personally welcome all our guests and clean all our cottages ourselves to ensure the highest standards. Pear Cottage offers weekly bookings starting on Friday and sometimes short breaks. From Pickering, travel on the A170 towards Scarborough. In village of Ebberston, turn left at the crossroads. Cliff House is immediately on your right. 128 bus service from Scarborough or Helmsley - bus stop at top of Main Street, Ebberston, opposite Cliff House. All the cottages at Cliff House have been converted from farm buildings and are grade II listed and are therefore full of character. This does mean that some of the cottages have low beams, doorways and uneven steps. We are therefore not suitable for wheelchair users or anyone of limited disability. 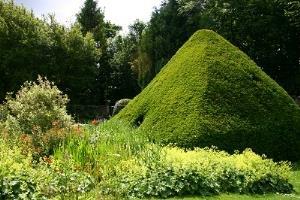 The gardens and grounds are extensive and are laid mainly to lawn with gravel paths with no steps. We are happy to advise as to the suitability of each cottage if required.